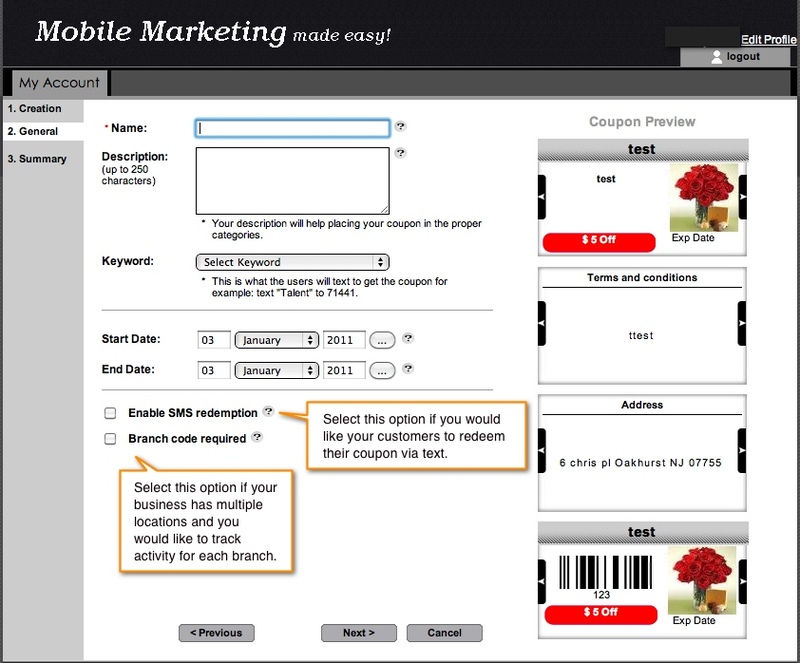 Build a Coupon- Quick Version – Mobile Marketing Made Easy! 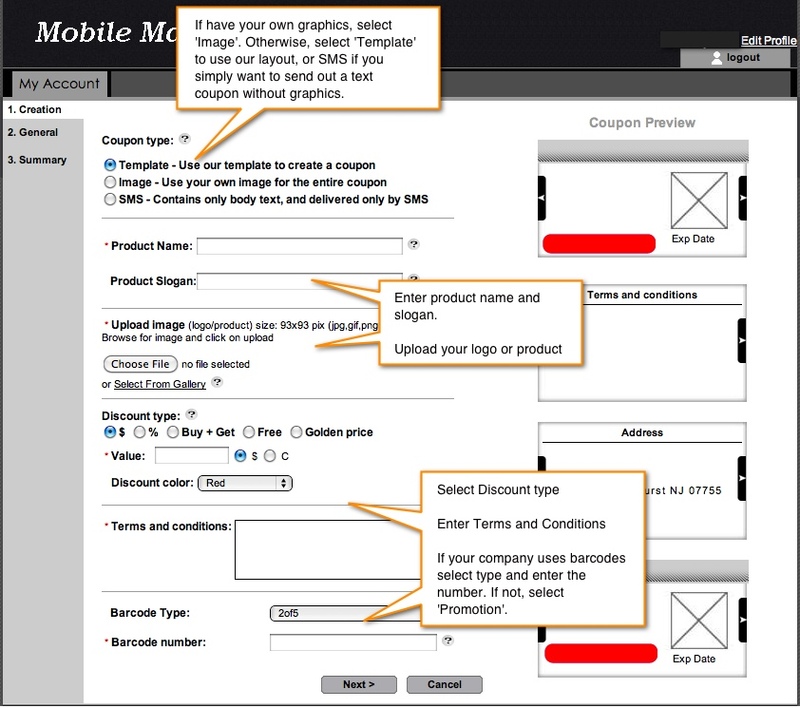 STEP 1 - Upload your product information. If you are providing your own graphics, you may upload the or you may choose our template and images. Your preview you will appear to the right of your screen. STEP 2 - Enter a name a description for your coupon and choose run dates from the drop-down menus. Click next when satisfied with the coupon preview at the right and click next to approve your coupon and send.